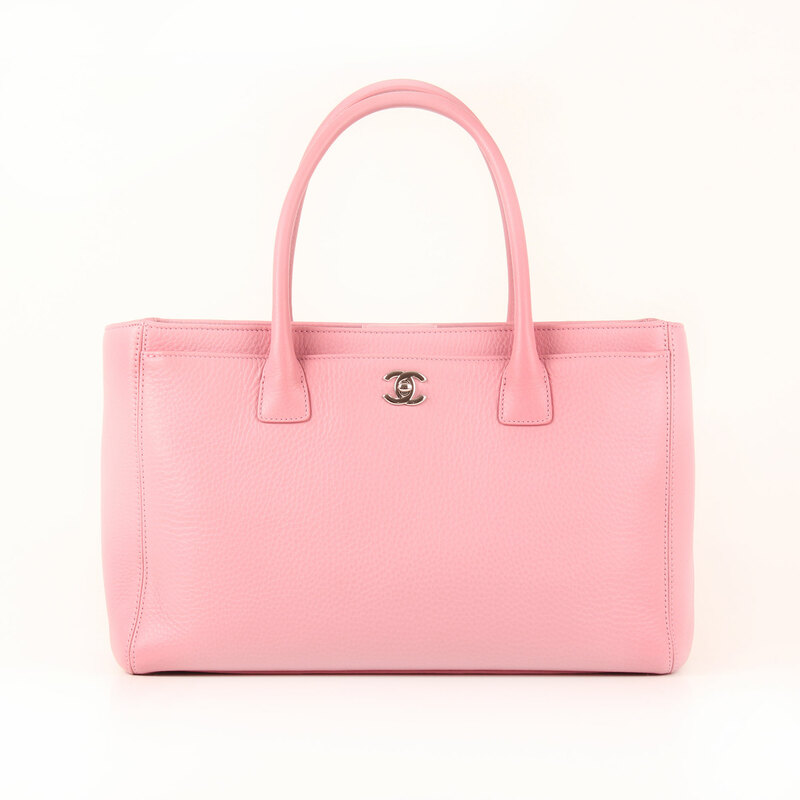 This Chanel Cerf Tote Bag is the best company for very busy women. Cozy and functional, this bag helps you to have everything handy. 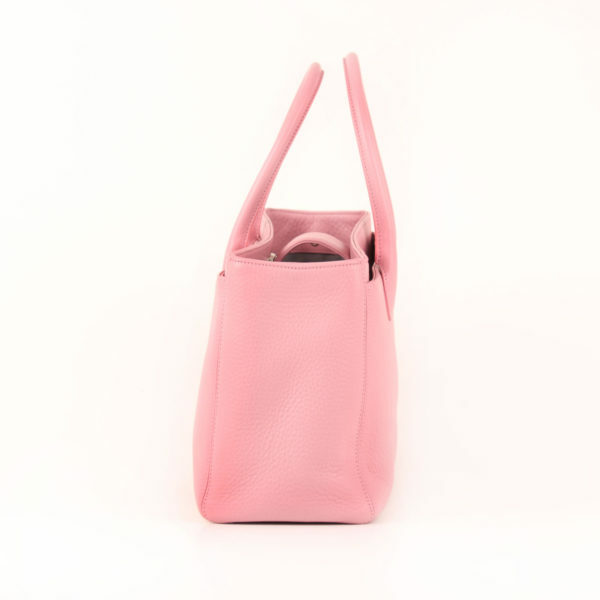 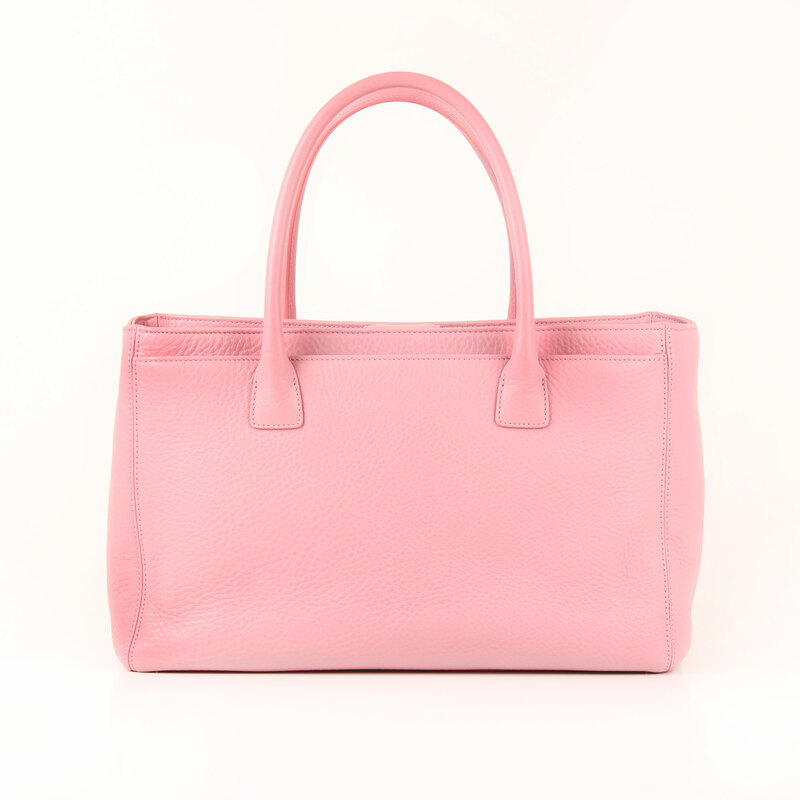 This is a perfect tote to match with a formal or workwear outfit, as well as to wear with the most casual one. 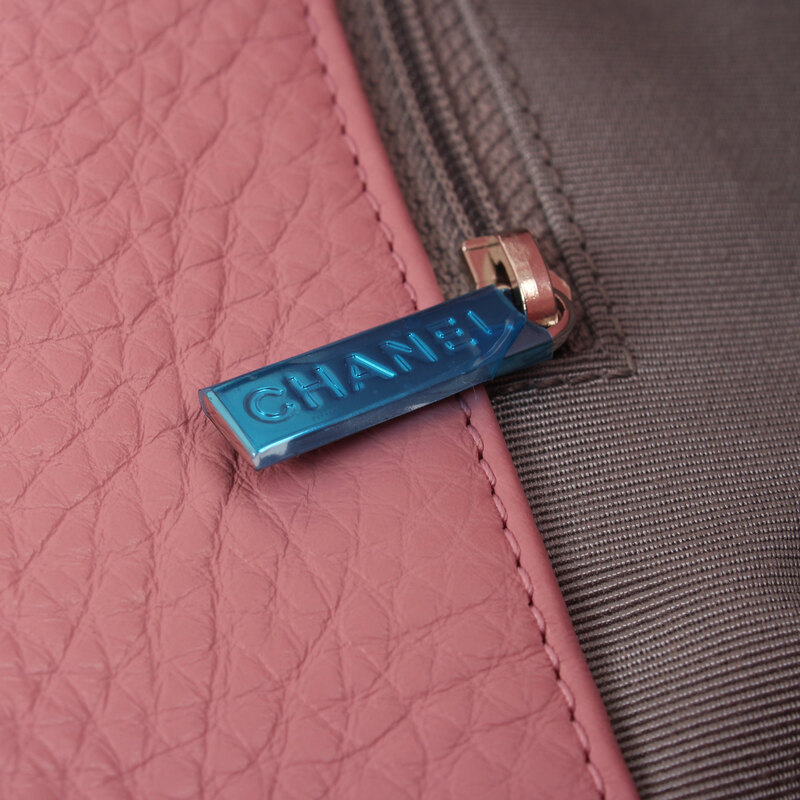 Overnight the Cerf model became part of Chanel’s Classic line and was relaunched in a wide range of colors and leathers afterwards. Actually, the one made of lambskin is call the Cerf Executive. 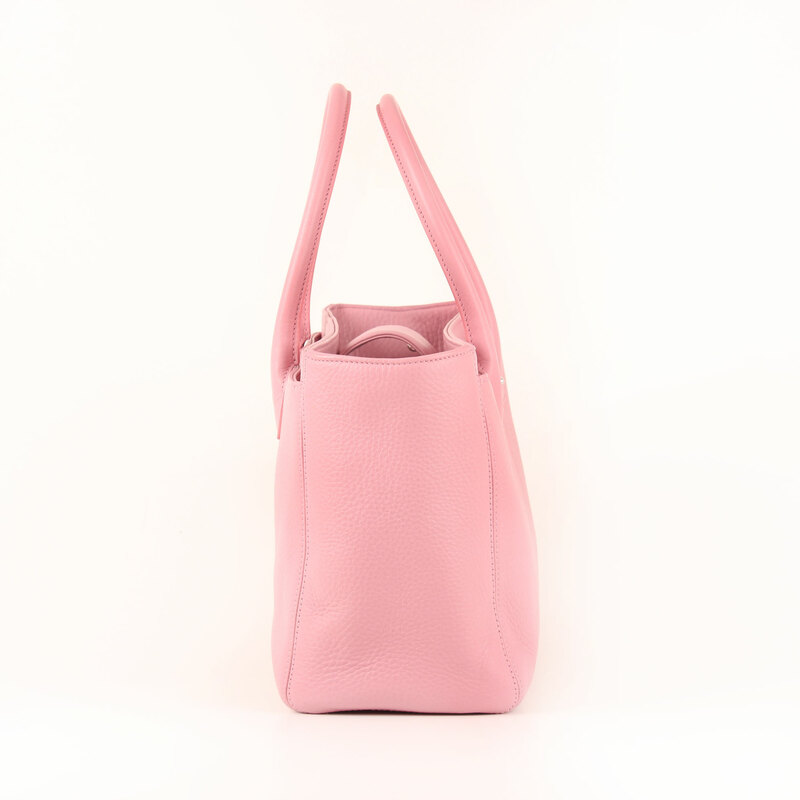 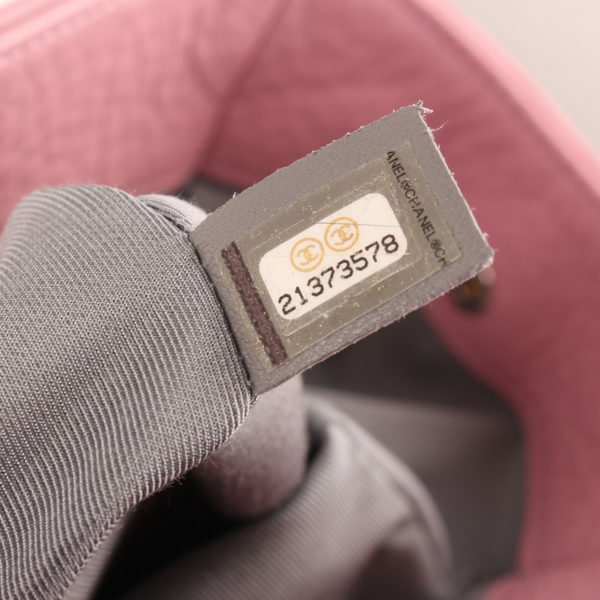 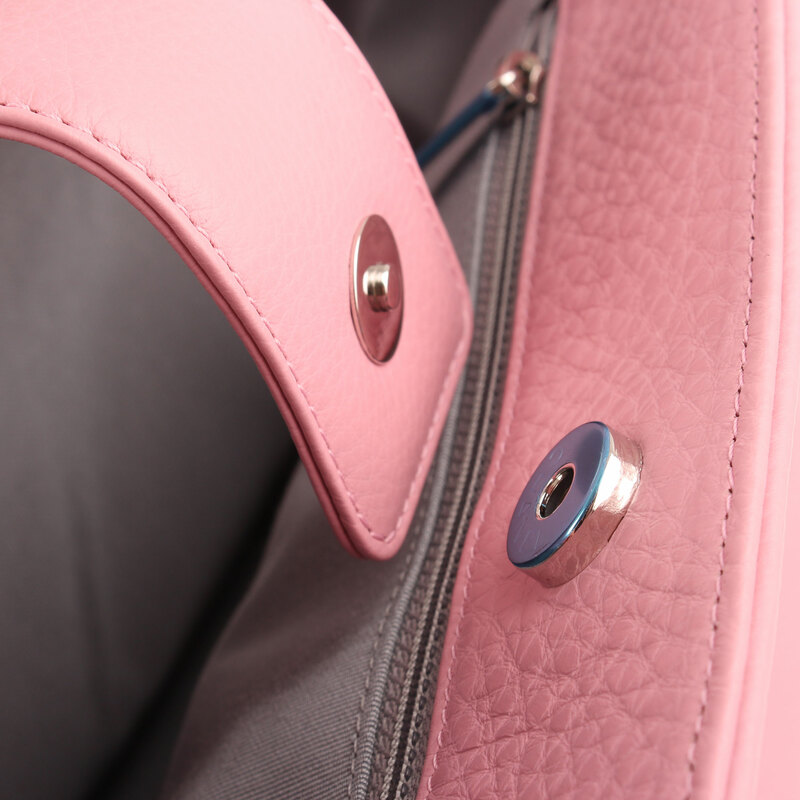 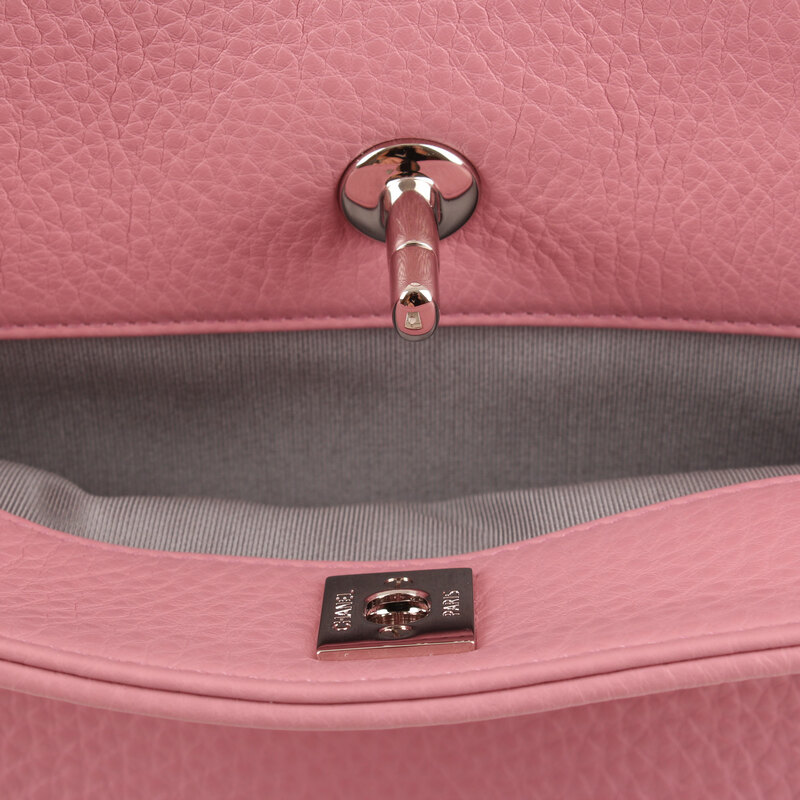 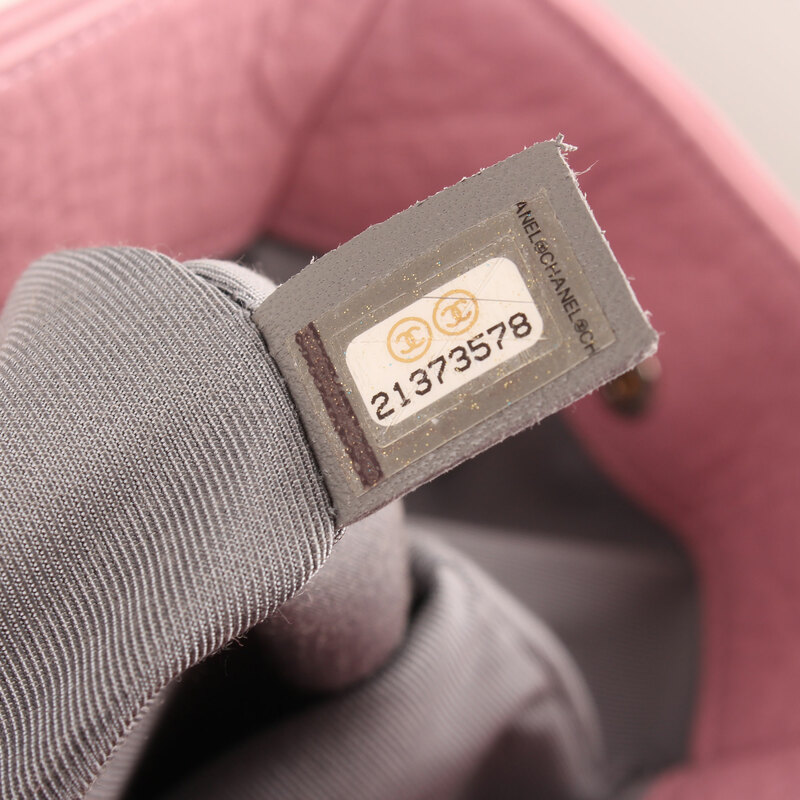 This current model is featured in a nice dust pink color which combines perfectly with the grey color of the lining. 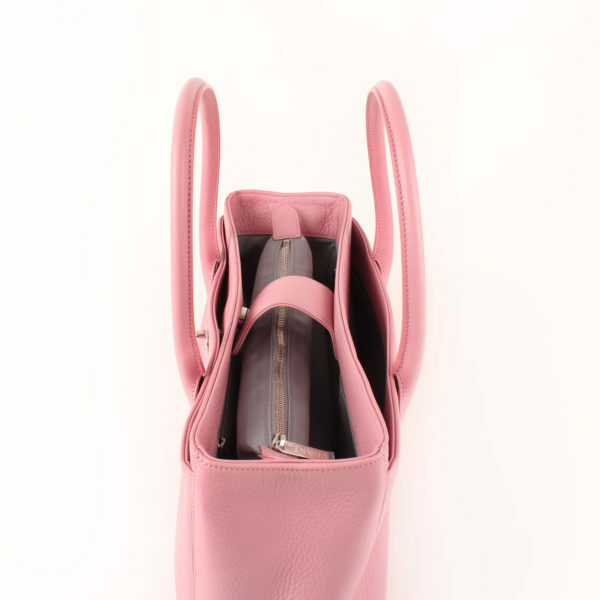 Also has a removable cross body strap and has a double short handle. 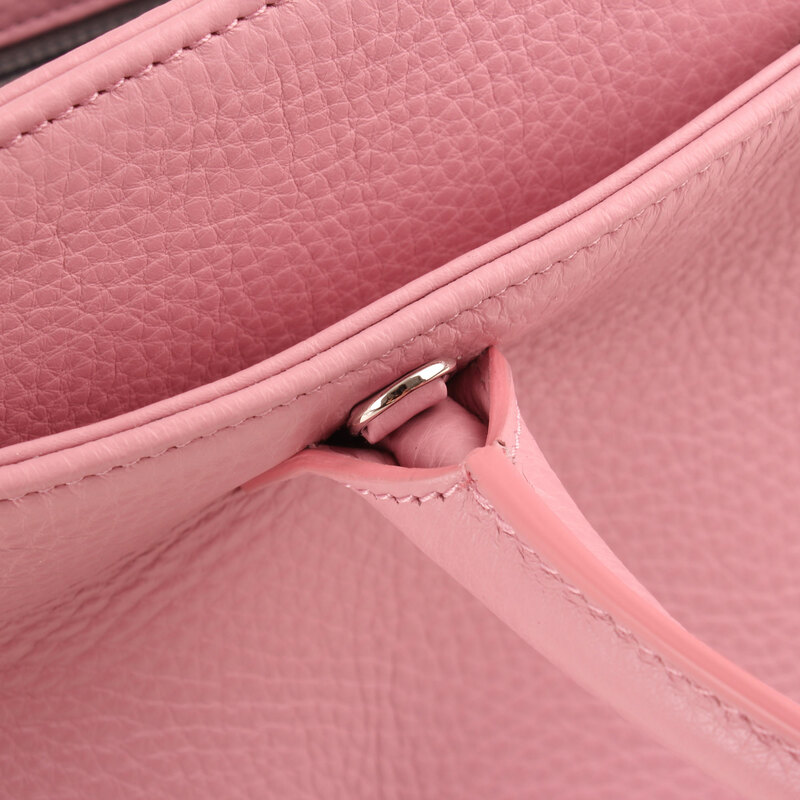 At the same time, shows three different compartments, one at the front and another at the back and the most spacious one is located at the center. Located on the base it has four metallic studs which helps the bag to be place anywhere. 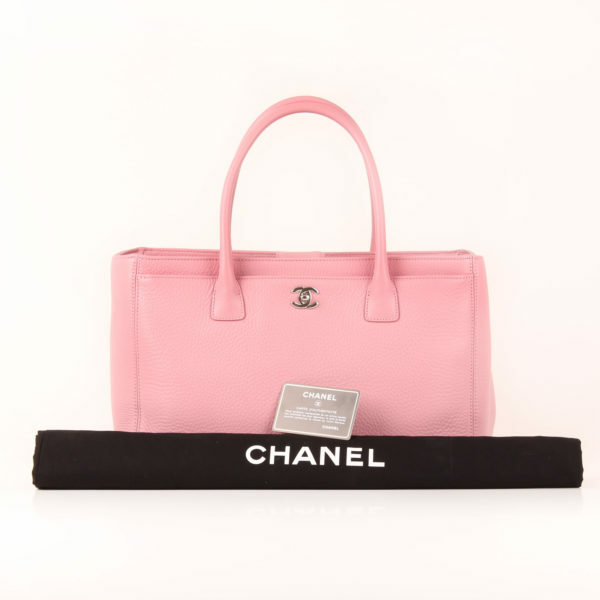 Includes: Dustbag, authenticity card, removable strap and bag and Chanel brochures. 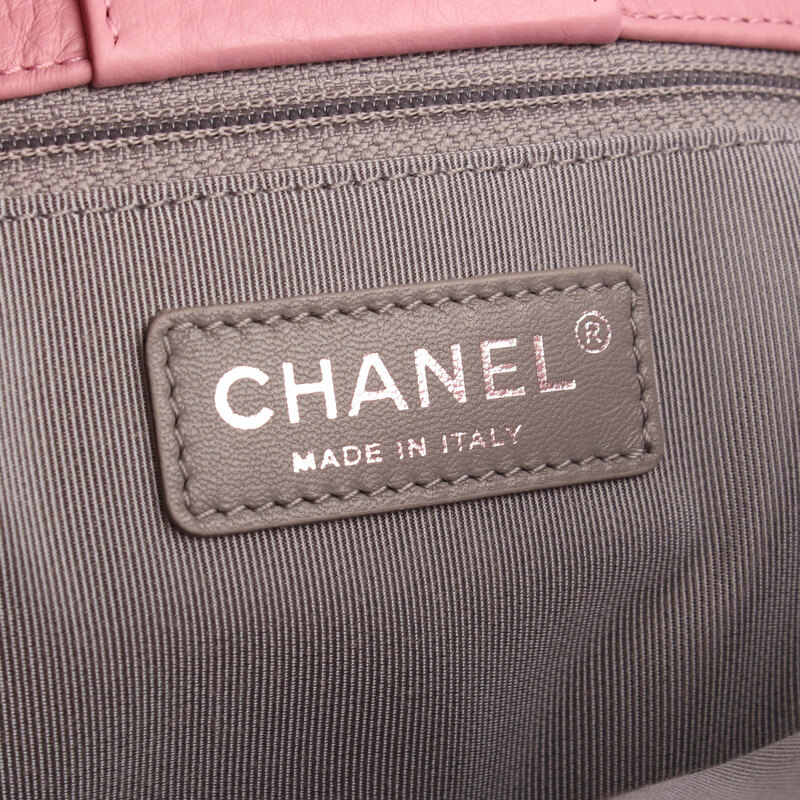 Details: Impeccable, it keeps the plastics covers from original packing.